Whether you take a reactive or proactive approach to marketing, it would be a great idea to know where you want to be and what you want to achieve. Sure, planning can be a complete nightmare and take up quite a bit of precious time…so why bother? 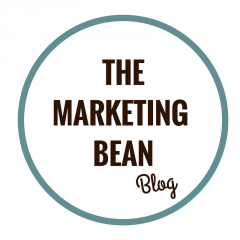 You may be wondering why i’m even writing about this, “nobody else bothers to plan their marketing”. Its true, I am shocked at how many businesses do not even consider planning and setting goals for their marketing. I think the reality of this is that many small (and even sometimes medium sized) business owners simply do not know how, and do not understand the positive impact it can have on their business. There are hundreds of documented ways of writing a marketing plan, people make a lot of money for thinking up swish acronyms and simply relating them to basic planning principles. You certainly don’t need all of this. 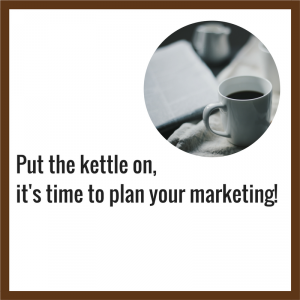 The purpose of marketing planning is to help you maintain focus. This focus will keep you on track, aware of opportunities and create consistency across your business. For those of you with employees, it can really help empower them to make decisions based upon your key objectives. 1. Where am I? Where do I want to be? 2. What makes your business different? 3. Where are the opportunities and threats? 4. Who are my customers? 6. How am I going to get there? At first your plan might not even cover a page, or make much sense, however it is worth noting that a marketing plan should be a live document; it should be reviewed and updated constantly. Every book on the market has a different take on how you should plan your marketing activities; many of these books are geared towards the big corporates with very little information for those who don’t speak acronym! Your approach should be individual and something you understand. If growth plans for your business are significant, this is where you will need to enlist the support of a professional marketer who can utilise frameworks such as ‘Mr Porter and his Five Forces’ to put a little more weight behind your plans.